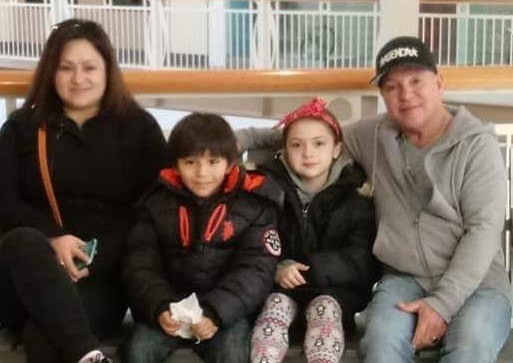 During a sermon on Sunday, Jan. 13, the First Congregational Church of Old Lyme (FCCOL) announced it would be working with local immigration experts to return Glenda Cardena Caballero to her husband and two young children in Waterbury while her deportation case winds its way through the lengthy immigration appeals process. 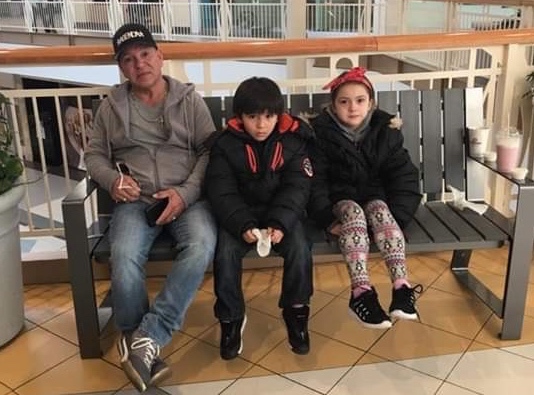 Last August, her husband Miguel Torres pictured above with their two children Nathaly (11) and Keneth (7) – all of whom are U.S. citizens – were forced to watch helplessly as Glenda was taken from them by ICE, placed on an airplane and deported to Honduras. Glenda had been in the US since 2005; she had complied with all of ICE’s directives; and her case was under appeal in the court system. Despite following immigration rules and regulations, ICE agents deported her suddenly and arbitrarily in front of her children and husband, leaving her family bereft and heartbroken. The city to which she was deported, San Pedro Sula, is considered the most violent city in the world outside of a war zone. In December, the house where she is living with her mother was strafed with bullets; then, the very next day, she had a gun held to her head and was robbed of her money and phone on the street. >building a community of love and support for Miguel, Nathaly and Keneth that they can lean on when the emotional toll of separation is too much to bear. The Torres family in happier times. The meaning of the words has evolved over time to symbolize an unbreakable emotional bond between people who have been painfully separated, and the cairn has become symbolic of a place of sanctuary where people meet during emergencies. The church will be chronicling its humanitarian efforts on its website (www.fccol.org/BringGlendaHome) and Facebook page (www.facebook.com/congregationalchurchofoldlyme). Donations to help the family bring Glenda home can be sent to FCCOL. Checks should be made out to FCCOL with “Immigration Assistance Fund” written on the comment line – and mailed to 2 Ferry Road, Old Lyme, CT 06371. Contributions are tax deductible to the extent allowable by law.